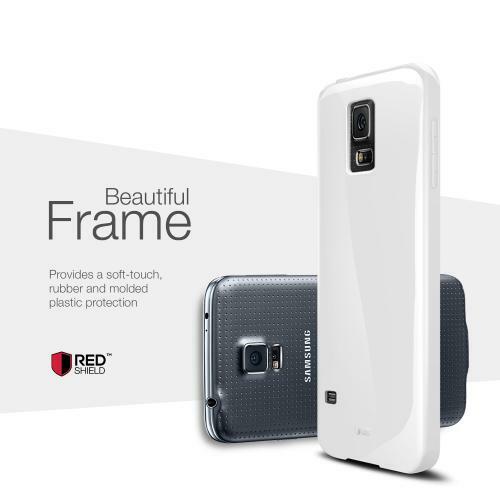 AccessoryGeeks.com | Solid White Exclusive RED SHIELD Anti-Slip TPU Crystal Silicone Case + Free Screen Protector for Samsung Galaxy S5 | Free Shipping! 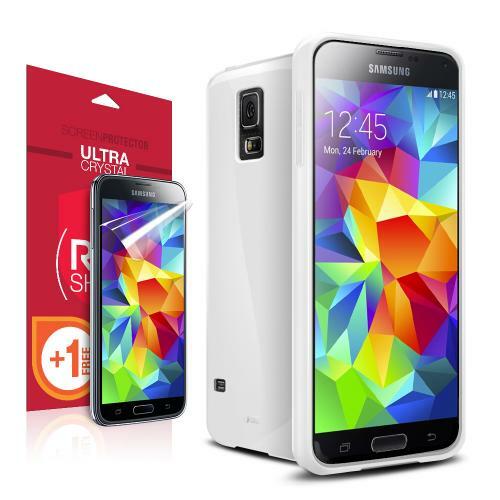 Your brand new Samsung Galaxy S5 is amazing and would be accented even more with this White TPU case! 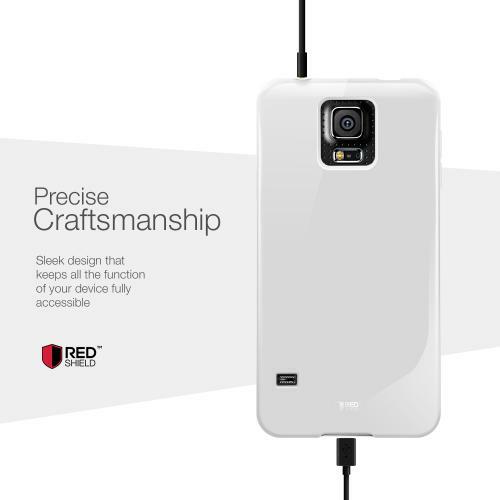 We were expecting cool and sleek, but this Samsung Galaxy S5 is in a completely new league of its own. 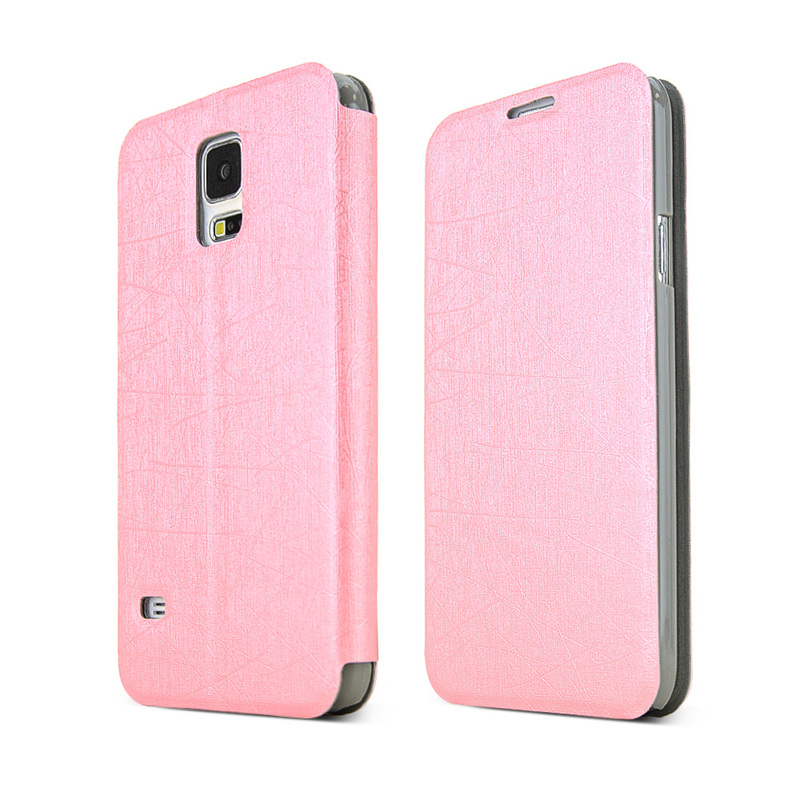 Your brand new Samsung Galaxy S5 is amazing and would be accented even more with this White TPU case! 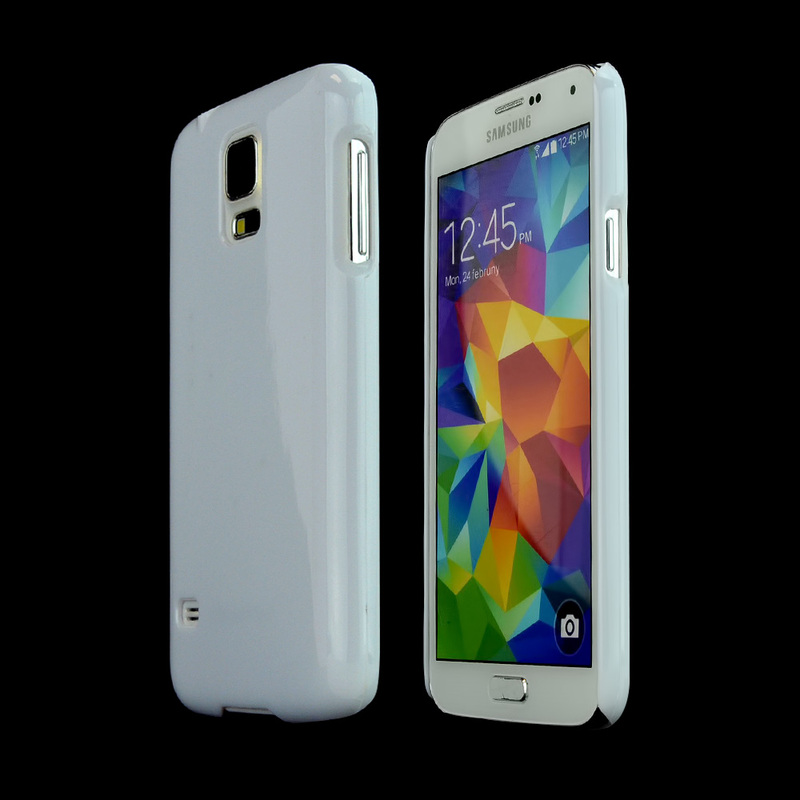 We were expecting cool and sleek, but this Samsung Galaxy S5 is in a completely new league of its own. 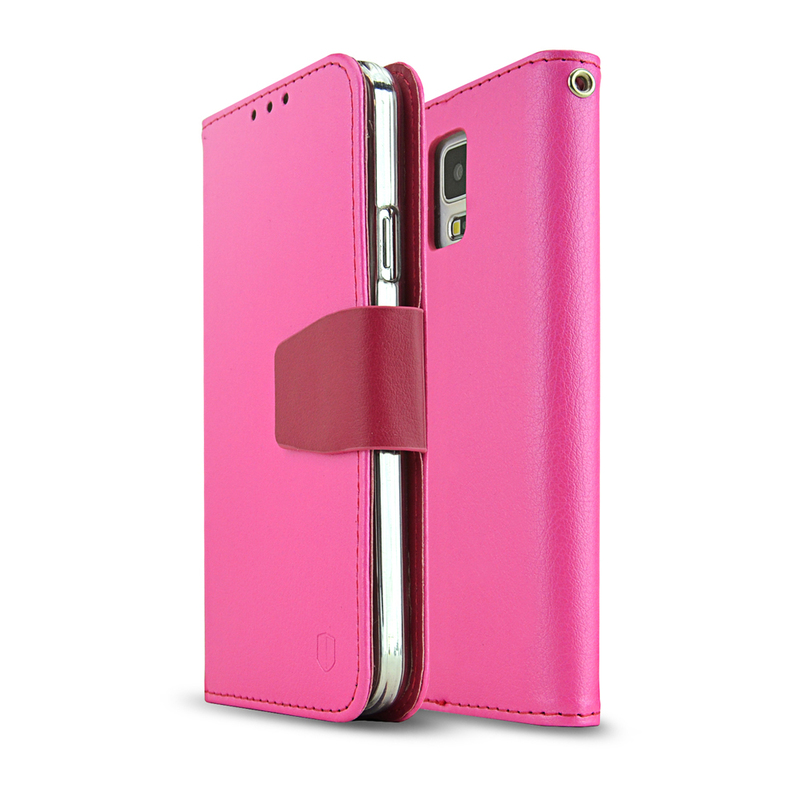 Bringing next generation technology straight to your hands, the Geeks wanted to make sure you keep your Samsung Galaxy S5 well protected so it can give you years of unquestioning servitude. We looked for the absolute best option for you, our fellow geeks, balancing functionality and price. We didn't think that was enough to thank you, so we're included a FREE SCREEN PROTECTOR with every purchase! 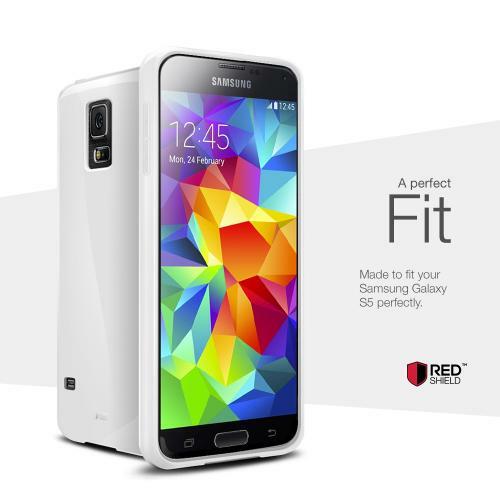 We salute you Samsung Galaxy S5 owner! Beautiful case! My wife just makes the right decision when she picks this case. 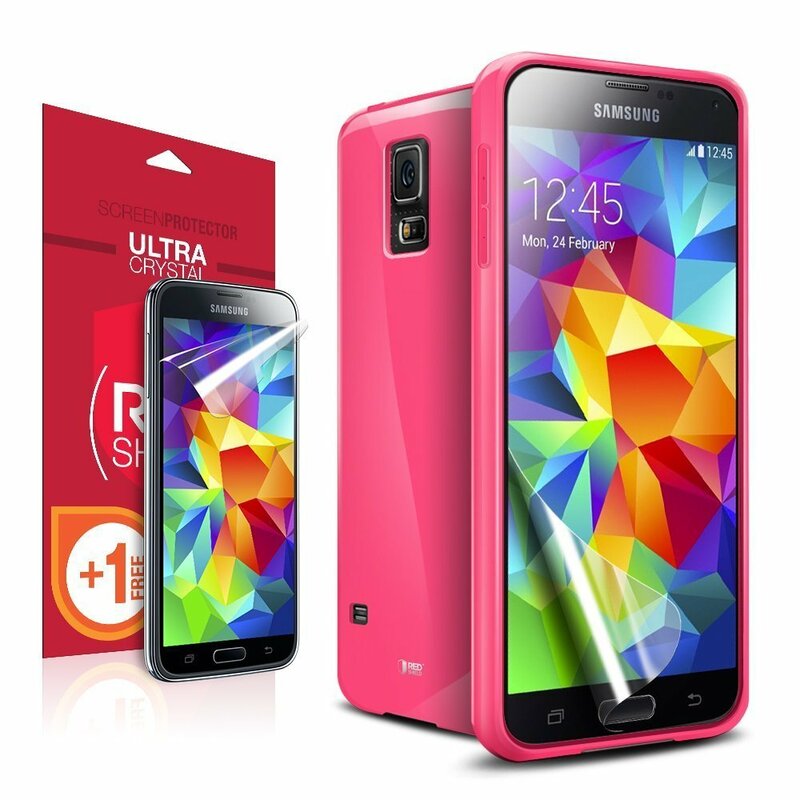 Great color, good protection, and great price! Considering the price I paid, this is a good case. 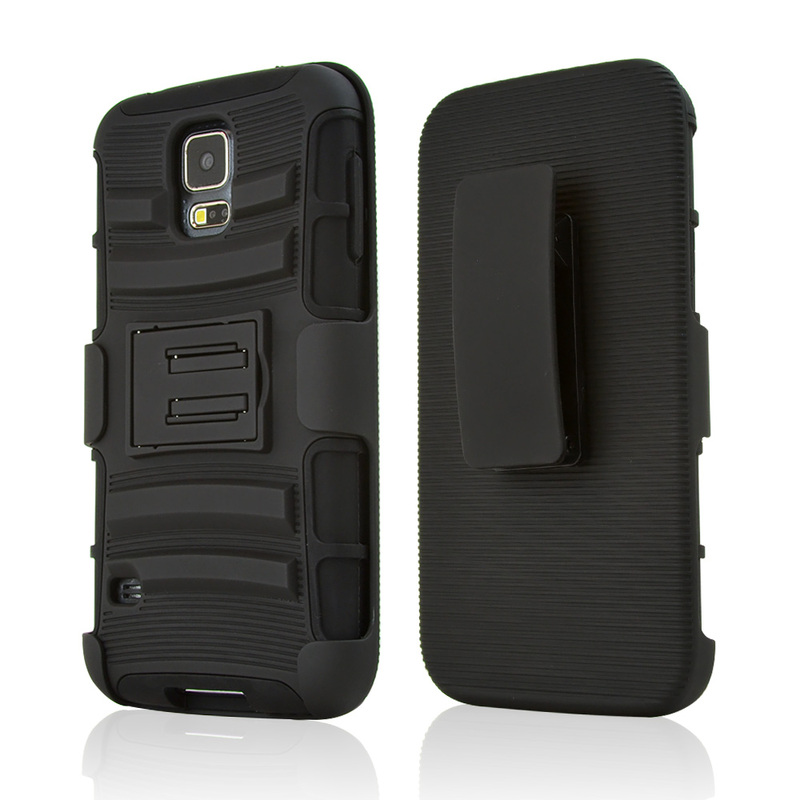 It fits well, and offer good protection without being overly bulky or heavy. 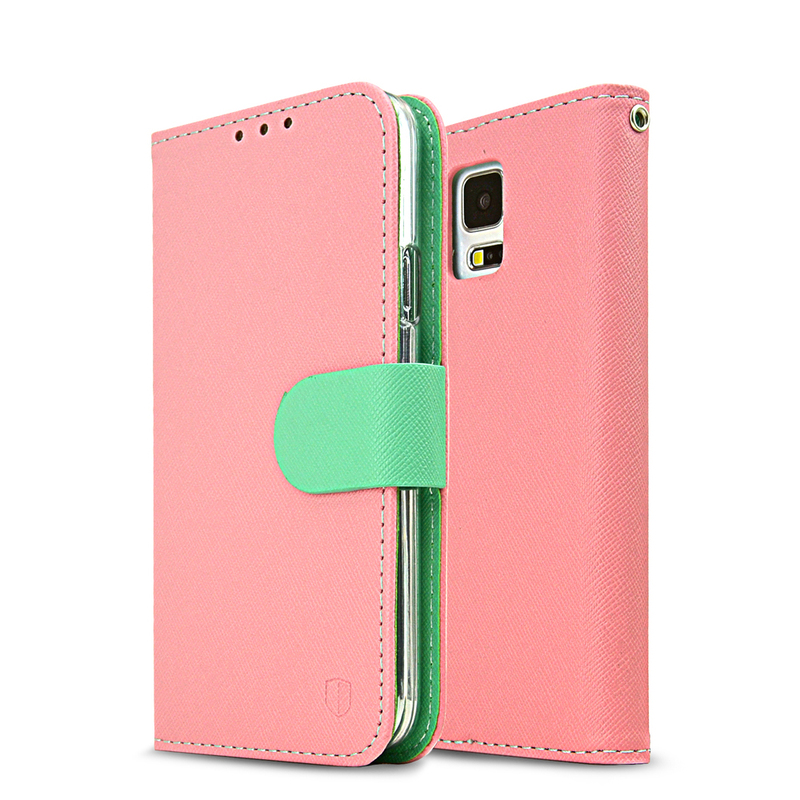 I love the simplicity yet gives a great protection for everyday use! 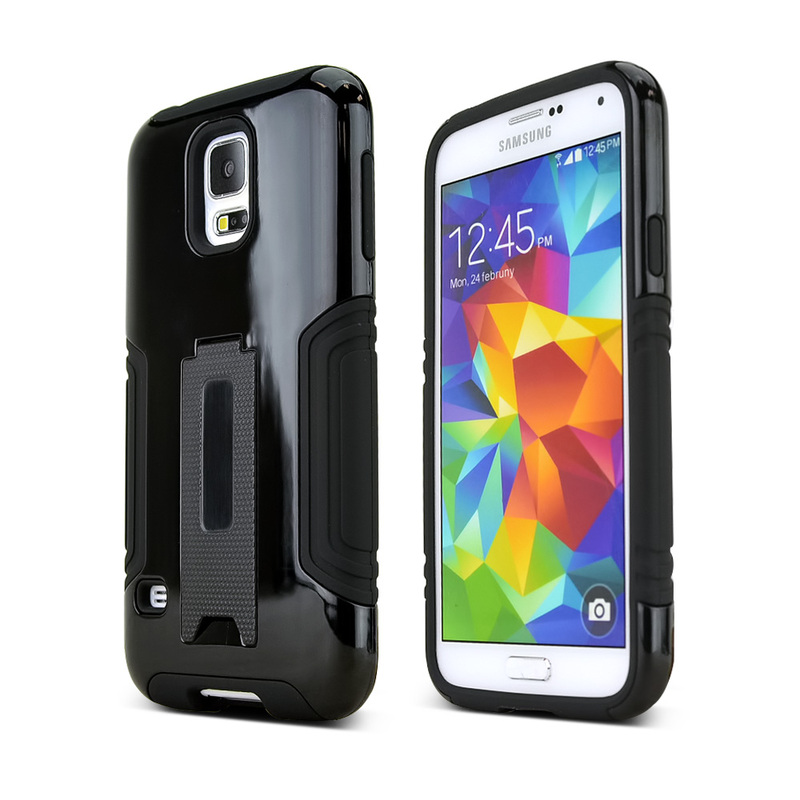 Superior phone case for my Galaxy S5. Easy to remove and put back on. Flexible and sturdy. Has preventing damage. Awesome price! I love this case cover. It is well made and so pretty. Easy removal and very high quality. 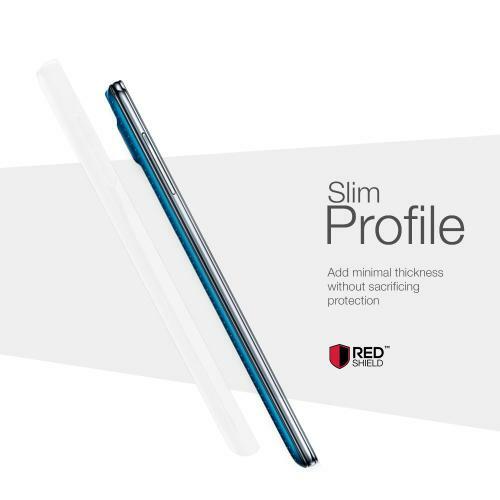 Firm enough to protect my phone from sudden scratches and crack. 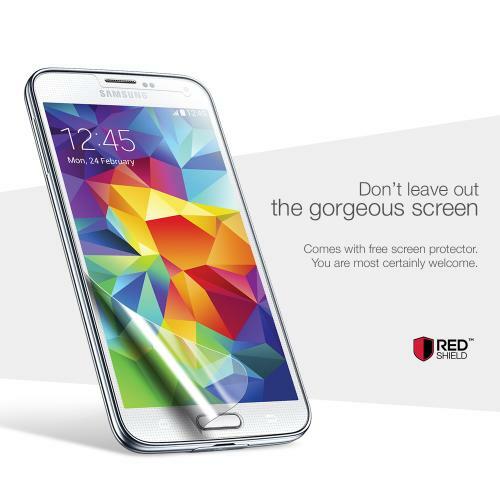 Great deal with additional screen protection. Thank you I would definitely recommend this case. 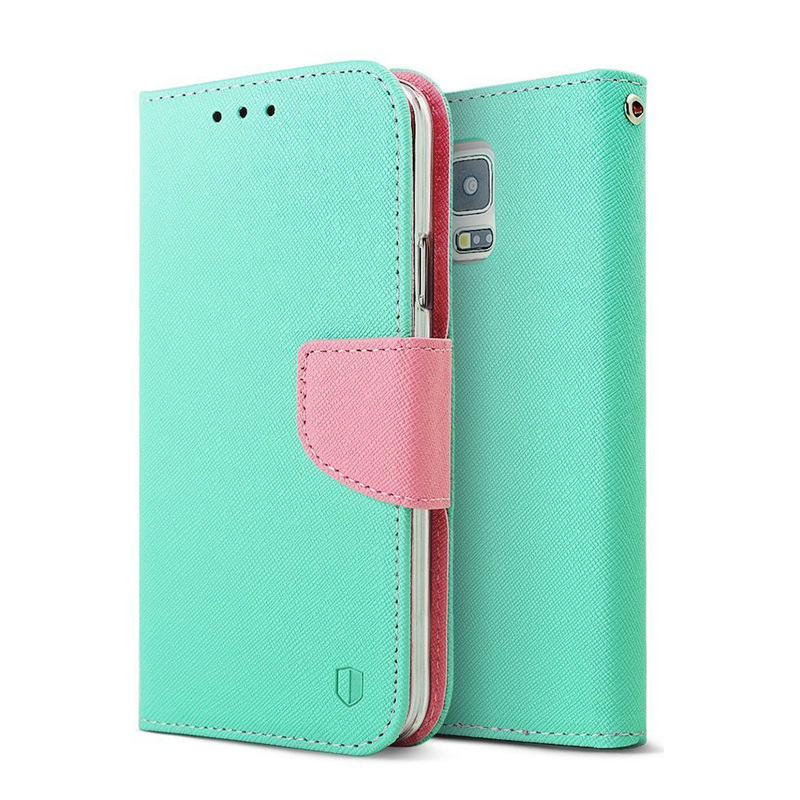 This is a good quality product, I like the feeling when I hold it in my hand, it is a nice cover for my new cell phone, I highly recommend it. and the shield has not one bubble in the clear coat. A great buy. Fits my Galaxy S5 perfectly. Just enough texture for a good grip but smooth enough to get in and out of you pocket. I bought 2 in different colors.